Er Lannic: (Twin Stone Circles). On the islet of Er Lannic, 500m (0.3 miles) south of Gavr'inis, there are two stone circles, both made of some 60 stones. 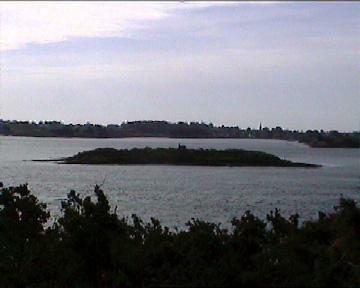 They are now half submerged by the waters of the Gulf of Morbihan, but in prehistoric times they stood on the mainland. Only the northern circle can be seen, the southern one being entirely submerged. Er-Lannic is now a Bird Reserve and cannot be visited, so the northern stone circle is visible only from the air or by boat (the boat to Gavrinis passes nearby the still exposed circle, which is half submerged, is 65m (213ft) in diameter and its stones are 2 to 5.4m (6.5 to 17.7ft) high. The site was excavated in the 1920s by Zacharie Le Rouzic, who calculated that Er-Lannic had been erected about 5,000 years ago. He found around each stone a cist containing charcoal, animal bones, worked flints, pottery, and a lot of polished axes. Two stones are carved with axes and a yoke, and one of the uprights' packing stones has nine cup-marks (according to Le Rouzic, arranged to form the outline of the constellation Ursa Major). 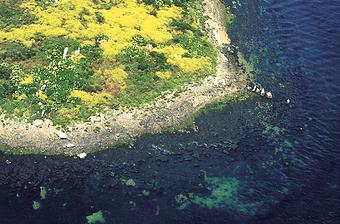 The southern submerged stone circle is horseshoe-shaped open to the east, 61m (200ft) in diameter. Er-Lannic is directly in front of Gavr'inis. 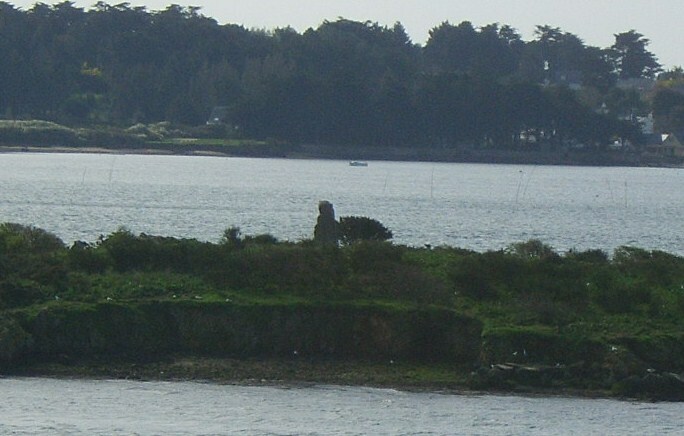 The large menhir is still standing on the island. Although the circles are now mostly submerged. 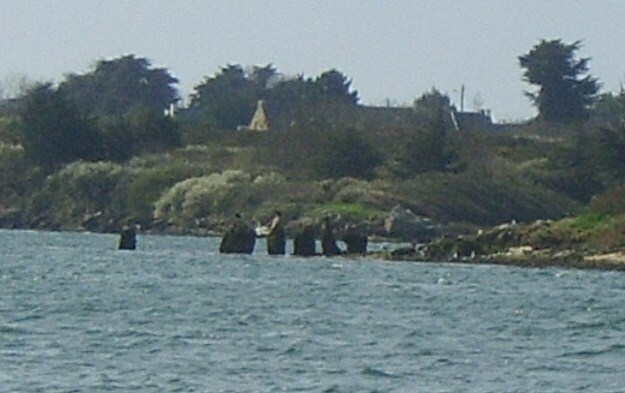 Alignments - Two outlying stones, now fallen and below the water, lie east and west 50m (164ft) and 90m (295ft) from the circle, on a line tangent to the visible ring's northern corner, marked by the highest stone of the circle (5.4m - 17.7ft). At the southern tip of the submerged horseshoe there was a great pillar called the blacksmith's stone by fishermen. These lines to cardinal points had probably some astronomical connections, possibly to the moonsets.